Opened since 2010, the Fallentimber Meadery is located northwest of Water Valley in the foothills of the Rockies. Their honey is collected from hives placed along a narrow band at the eastern edge of the foothills, giving the bees access to a wide variety of wildflowers and clover that cover the hills, but limits their exposure to the expansive croplands to the east. In addition to careful hive placement, their honey is meticulously handled, and never pasteurized, to ensure that it retains a natural, fresh from the comb flavour. The result is a honey that is ranked among the best in the country. 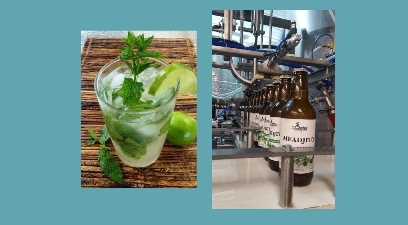 New to our market is their gluten free hopped mead, the Meadjito – $9.49 in 500mL bottles. Lots of people are asking for this, it is really refreshing with a good balance of flavours, not too sweet. Marvelous for a hot day. Canada’s 150th is this Saturday, and is worthy of a big celebration. 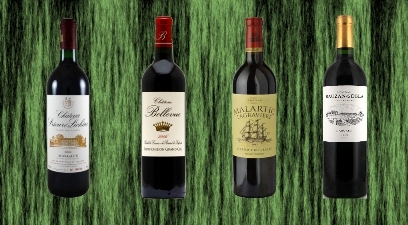 And a sale – we’re offering a $4 discount on two of our most popular wines as a Canada Day Door Crasher. 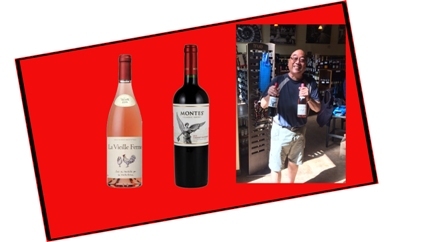 Fifty bottles each of the 2016 La Vieille Ferme Rosé and the Wine Spectator Top 100 wine, the 2014 Montes Classic Series Cabernet Sauvignon will be on sale for a mere $11.99, one bottle limit of each wine per person. This is a in-store only promotion, so you must shop in person (no online). Once they’re gone, they’re gone. Note: Our store hours on Canada Day is 10-5pm. We’ve just received three new Bruichladdich Single Malts. Since its inception in 2001, this Islay distillery has been at the forefront of experiments and being the avant garde in terms of committing to using old methods and producing highly hyped whiskies that deliver, making them a popular choice amongst the connoisseurs and geeks alike. We’re happy to offer three new limited edition 10 Year Olds new to our market. The two Port Charlottes (fairly heavily peated, named after the town next to the distillery), and the Octomore (the peatiest whisky in the world, named for a nearby farm that grows some of the distillery’s barley). Have yourself a Troika summer! The 2016 Bordeaux Futures Campaign is nearing its end – we have over 40 different wines from nearly every appellation at every price range being offered. Though some products are down to its last few bottles, there’s still plenty to choose from for the late-comers or for those who want to add a final bottle or two. If you wish to have some fine Bordeaux in your cellarfor down the road, the 2016’s are the wines to buy now. You purchase now and the wines will arrive in late summer, early fall of 2019. The buzz is 2016 is a slightly better vintage overall than the already spectacular 2015’s, with all appellations excellent. It is nice to have some St. Estephe wines on offer this year, as they were largely missing last year as the only not-up-to-par region in 2015. We will not likely have a third consecutive Futures campaign as the 2017 crop will be very small due to the devastating frost in late May and likely to be extremely expensive. To see all the current offerings, click here..